Our world has been shaped by many technological inventions, innovations, evolution, and events. Many of which have happened in the last century (100 Years). The list below contains many that have had a major impact on the world from a technology perspective. TechEd LLC has sifted through hundreds of videos searching for ones that are good quality, under 10 minutes each and are appropriate for school. The following YouTube videos were selected and embedded because they stood out as a good fit for this project. Although there are thousands of inventions and events not covered these are a handful that really stand out as being high contributors to shaping our world into what it is today. The Cotton Gin was invented by Eli Whitney in 1793. 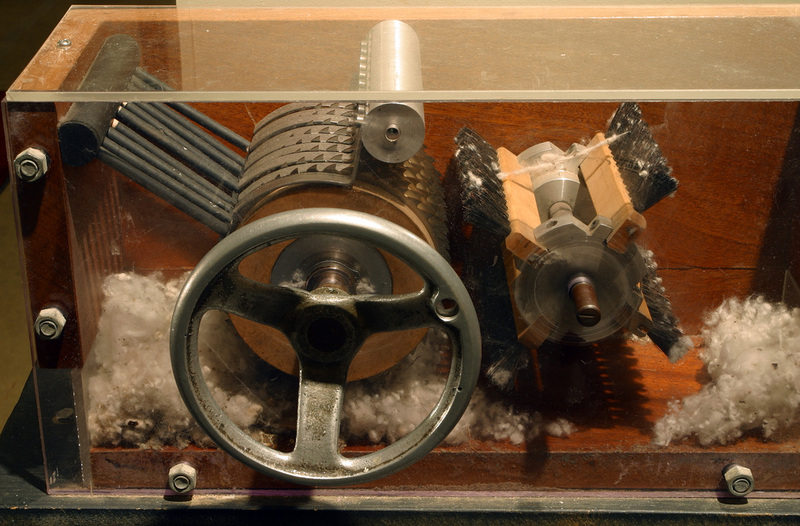 This simple machine removed seeds from cotton at a speed that amazed the people of that time. His invention sparked other inventions and innovations that contribute industrial revolution. Eli never really profited from this invention due people stealing his idea and patent issues. However he did profit from the manufacturing of interchangeable parts of the Musket Rifle. 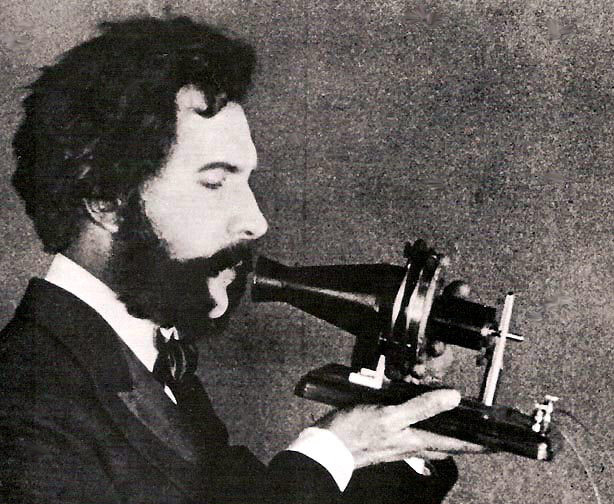 The Telephone was invented by Alexander Graham Bell in 1876. The first understandable words to electronically cross a wire were "Mr. Watson come here, I want you". They were said by Alexander Graham Bell to his assistant Mr. Watson. It didn't take long for the telephone to evolve from the first primitive experiment and into a usable device. Thomas Alva Edison also known as the "Wizard of Menlo Park" invented the light bulb in 1878. He is also responsible for over 1,000 patents like power generation systems, motion pictures, and the phonograph (record player). He is possibly the most important ever as his invention of the light bulb lead to the creation of the electrical grid which now powers millions of electrical items. The Wright Brothers (Orville & Wilbur) are responsible for the first controlled flight. The key word being controlled. Others had invented unmanned flight prior to this but none had the ability to have control over the aircraft. 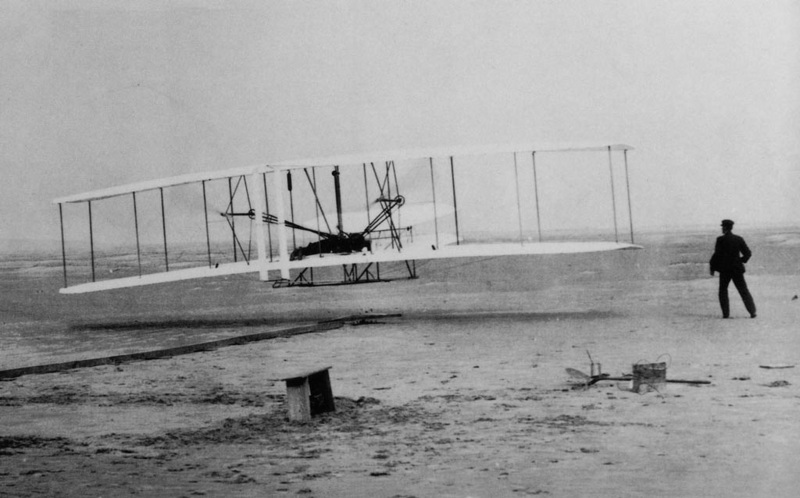 So credit to the airplane goes to the Wright Brothers who flew their airplane at Kill Devil Hills, North Carolina. Their invention revolutionized the world in many ways like the speed of mail, medical needs, and warfare. The Wright Brothers made the world a much smaller place. Henry Ford created not only the Model T which was one of the most successful vehicles ever made, but he also perfected the assembly line. It is hard to say which one of the inventions he created had a bigger impact on technology. Many would say the Model T because it made traveling so much faster and affordable. Others would say it was the assembly line because it revolutionized manufacturing by having the work move down the line by a mechanical drive. 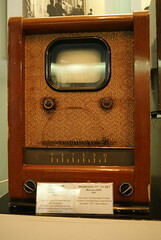 Philo Farnsworth had envisioned the concept of how a TV would work long before he actually created it. It is obvious that the TV had a significant impact on the world. Almost every household in the US has at least one TV if not more. Unfortunately for Farnsworth he never made what he deserved from the invention of the TV as he was undermined by the electronic company RCA. Sputnik was launched by the Russia in 1957 during the cold war. Some Americans were excited to see such technology excited by many feared that the Russians were beating the U.S. in the Cold War. This sparked an educational movement lead by the US government to make it's schools better. Soon after the U.S. sets it's goals on landing on the moon. On July 20th 1969 Neil Armstrong flight commander of Apollo 11 was the first human to step on the surface of the moon. This was an amazing event that most of the world watched on T.V. in amazement that the U.S. was able to accomplish such a task. It was also an indicator to the Russians (Enemy of the U.S. during the Cold War) that the U.S. Engineering was superior to theirs. When a nuclear power plant exploded in Chernobyl, Ukraine, which was a state of Russia much was feared. The city of Pripyat was evacuated a little too late and many suffered from the effect of radiation poisoning. Radiation from that plant could be detected all the way around the world. Nuclear power was thought of as being a clean form of energy that could put a dent in the pollution from burning power plants. Unfortunately this explosion derailed many plans to build nuclear power plants as the public no longer accepts them into their communities. The Late Steve Jobs, CEO of electronics giant Apple debuted the iphone in 2007. This iPhone revolutionized the phone industry practically overnight. With these new phones people could not only talk and text but they could search the internet and play their digital music. 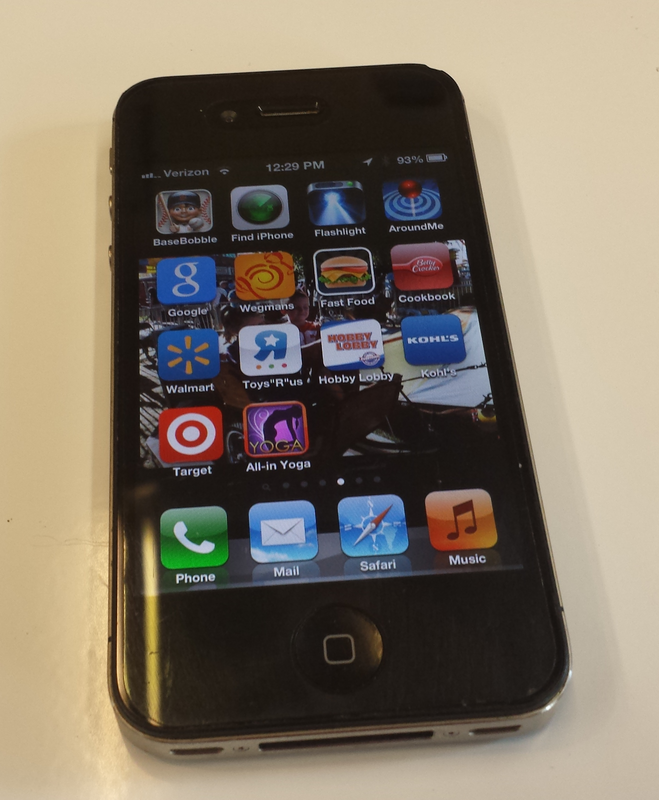 The iphone combined the phone, internet,and the ipod into one touch screen device. Since then the smart phone industry has skyrocketed and these smart phone are becoming just as powerful as a computer. As you can see there are thousands of inventions that have not been included in our top ten list of inventions, innovations, and events. Simply research major technology inventions to see a more complete list. Popular Mechanics has a nice article on this. You may be wondering why the computer isn't on our list. The answer is that the computer evolved over time and it would be difficult to put a date on when it was invented. The video to the left shows how the computer evolved over time. A separate timeline for computers can be found here. Make a chart that has three columns and has 11 rows. In the top row write Year in the first space, What in the second space, and who in the third space. This chart should take up a full sheet of paper. Fill in the chart using the information above. 1. Which of the above was considered a threat to the United States? 2. Who said the words "Mr. Watson come here, I want you"? 3. Who revolutionized the phone? 4. What invention kick started the industrial revolution? 5. What year did the U.S. land on the moon? 6. What invention was thought up while plowing fields? 7. Manufacturing was sped up with Henry Fords redesign of the _________________. 8. What was one of the worst nuclear disasters called? 9.What year did Thomas Elva Edison invent the light bulb? 10. Who made the world a much smaller place?